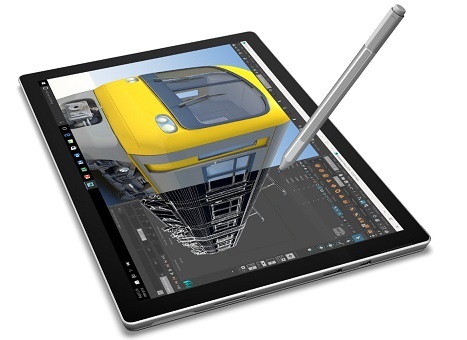 Microsoft Surface Pro 4 Tablet offers portability and performance. It is fitted with 12.3inch 10 point multitouch display that renders content in high resolutions of 2736 x 1824 pixels. In addition, the tablet also features an 8MP rear and 5MP front camera, along with Dolby Audio Stereo speakers to offer the best multimedia experience. The 6th generation Intel processor provides all the power required to ensure a smooth user experience, The Windows 10 OS offers the best of features that help you stay productive, and have a good entertainment experience. 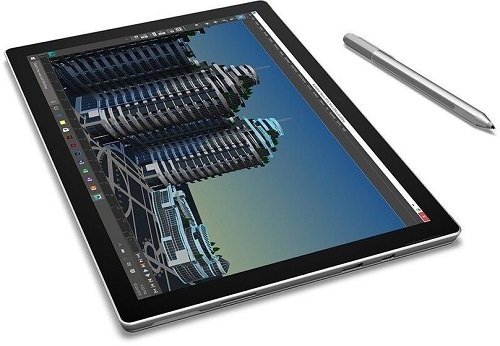 Plus, with the Surface Pen, you can perform various tasks supported by this OS. With stunning color rivaling real life, the 12.3” high-resolution PixelSense Display was made to be viewed, touched, and written on. 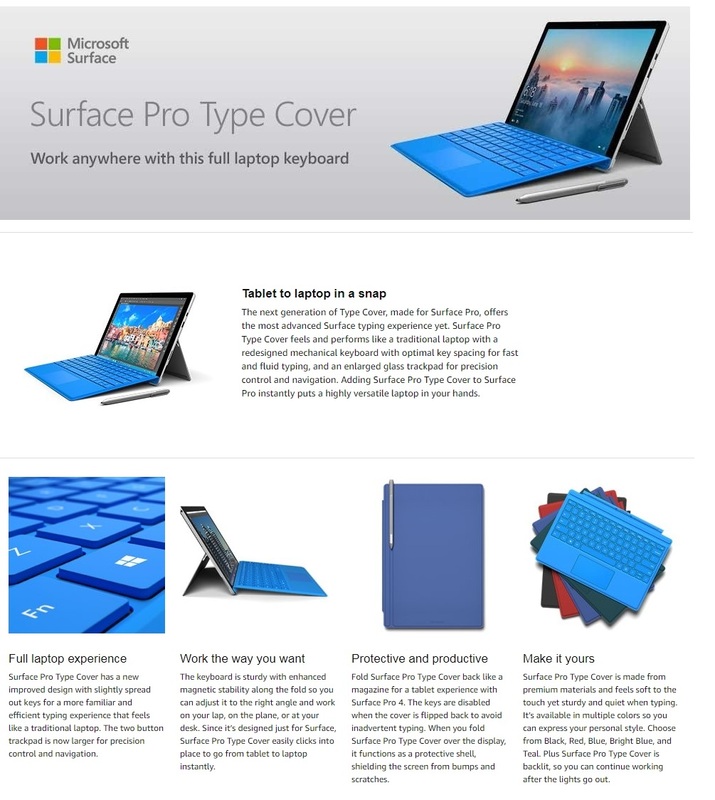 Surface Pro 4 has striking contrast with text that reads like the printed page. 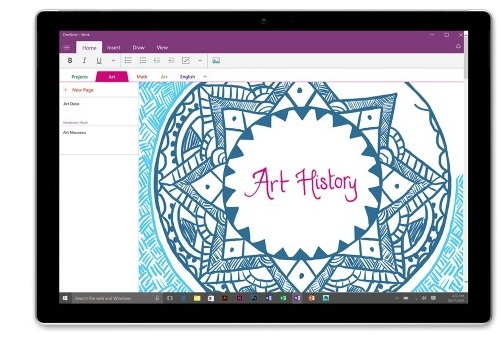 Surface Pen has 1,024 levels of pressure sensitivity and an eraser on the other end. Just flip it around and erase your Surface Pen strokes like you would with a regular pencil. A desktop, when you want it. Freedom when you need it. Surface Pro 4 gives you the power and performance you need with 6th Gen Intel Core processors. It’s light enough to take anywhere and powerful enough to do real work with professional-grade software. 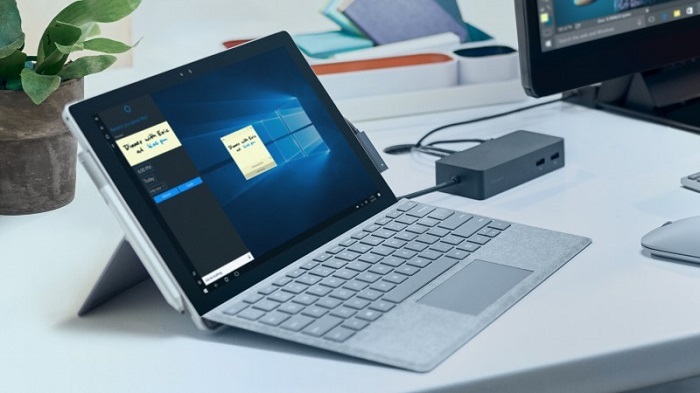 On the lightning-fast SSD drive, your Surface has room for all of your programs, apps, photos, videos, and music.